I had great fun with this painting! 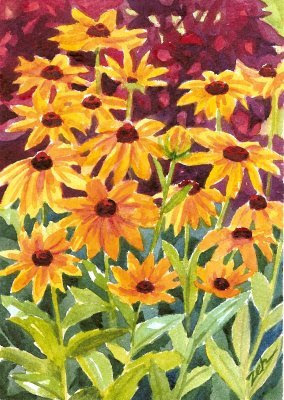 Sun-dappled black-eyed Susan flowers stand perkily in front of a shrub with deep red leaves. This painting is very spontaneous and impressionistic, painted with a light touch.